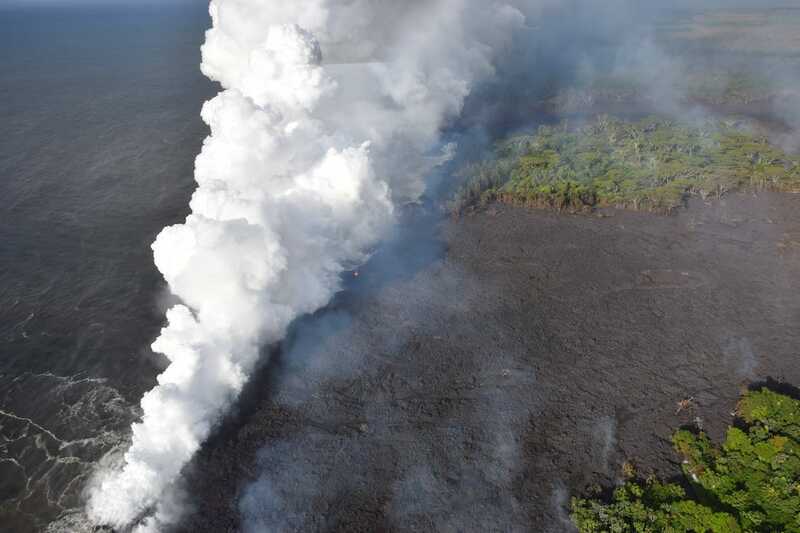 Hawaii’s Kilauea volcano isn’t just spewing lava into the air anymore. 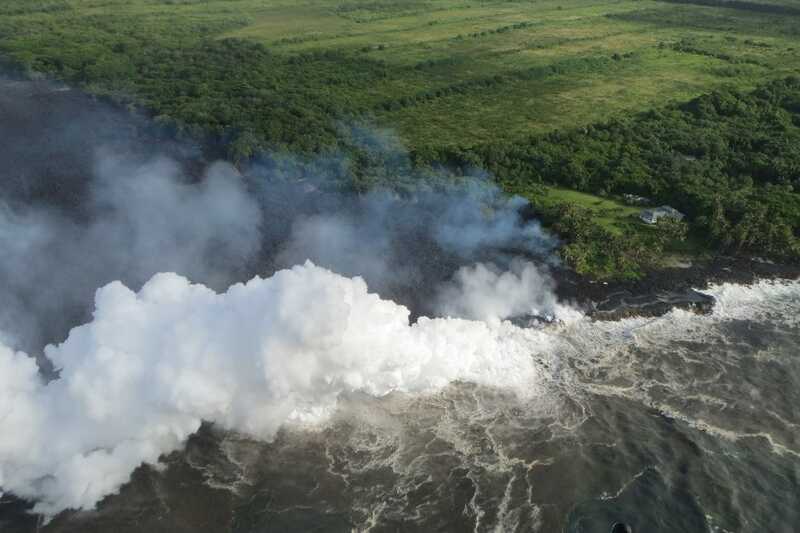 That lava is flowing into the water, leading to a dangerous concoction called laze. The noxious plumes of laze are extremely dangerous for people to breathe. Hawaii’s civil defense is sounding the alarm to residents, warning that laze can cause lung damage, eye and skin irritation, and even death in serious cases. 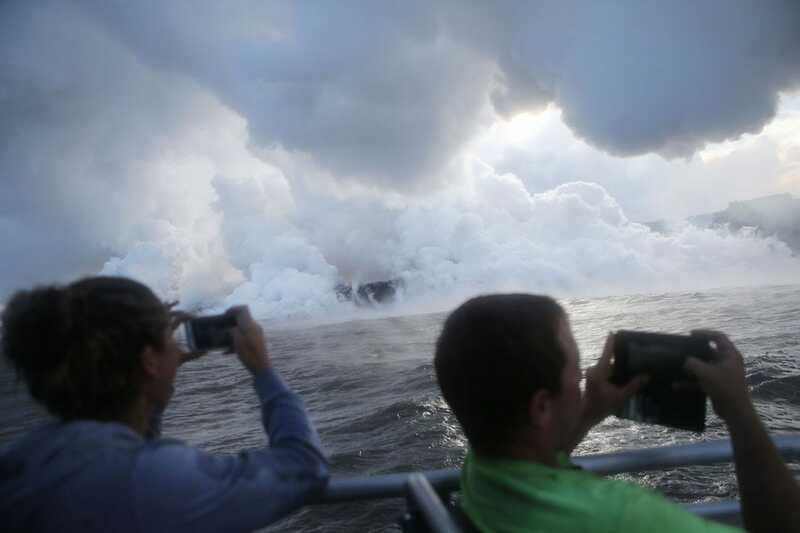 Lava began dripping into the water around Hawaii’s Big Island on Saturday and Sunday. The laze started rising around the same time that the Kilauea volcano eruption claimed its first serious injury: a man sitting on his third-floor porch got lava-bombed and was hospitalized with a shattered leg. 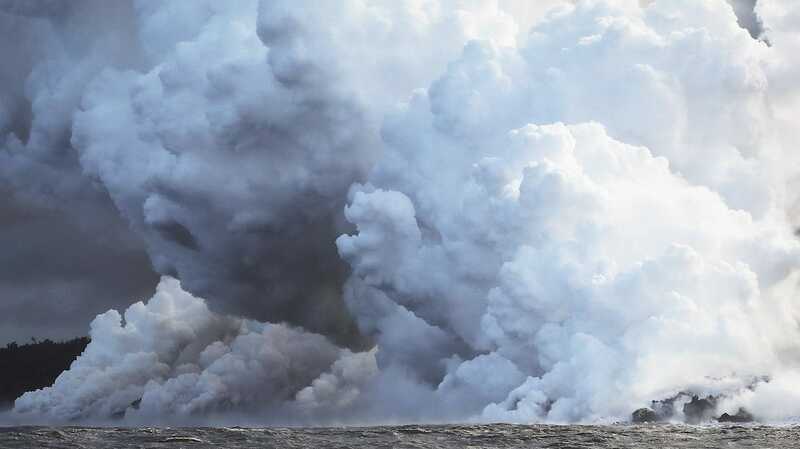 Laze is created when ocean water comes into contact with volcanic heat. The water evaporates, which leads magnesium salts to form and mix with the steam. “Seawater must be boiled almost completely dry before magnesium salts form,” according to the USGS. When the salts come in contact with the steam, together they create dangerously corrosive hydrogen chloride. It can be deadly when inhaled in high doses. Hydrogen chloride can create a fluid buildup in the lungs, called pulmonary edema, which can cause serious chest pain, coughing, and fatigue. Even sniffing a little bit of the gas can irritate your eyes and skin, and make it hard to breathe, according to the Centers for Disease Control. Oscars 2018: The Complete Winners List!